Argyle Feed Store is pleased to offer our customers the following pet food loyalty programs on our house brand of pet foods. We strive to bring you the best in quality dog, cat, and exotic animal pet foods on the market. This loyalty program is our way of saying “thank you” to our loyal customers! Not valid with any other discounts or sales. Offered by Argyle Feed Store. See store for details and to sign up for this free program. Exclusive and Infinia dog and cat foods are now buy 8, get 1 free! Red Flannel dog and cat foods are now buy 10, get 1 free! Zignature dog foods are now buy 12, get 1 free! Fromm dog and cat foods are now buy 12, get 1 free! Canidae dog and cat foods are now buy 12, get 1 free! 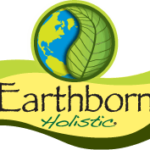 Earthborn dog and cat foods are now buy 12, get 1 free! Orijen dog and cat foods are now buy 12, get 1 free! 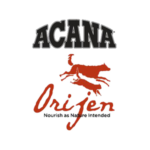 Acana dog and cat foods are now buy 12, get 1 free! Taste of the Wild dog and cat foods are now buy 10, get 1 free! OC Raw Dog food is now buy 12, get 1 free! Blue Buffalo dog and cat foods are now buy 10, get 1 free!